Paul really gets on a roll in this weeks readings. If you were not convinced you were a sinner before, I bet you are now. Romans 6 deals with the idea that those who have been united with Christ have been united with him in his death and more importantly in his resurrection. This is great news because now those who are “in Christ” (one of Paul’s favorite phrases) will receive all the benefits of God. Those who are in Christ are dead to sin and alive in Christ. We do not have the freedom to just continue sinning. We are no longer slaves to sin. But then Paul brings up a good point. This is a confusing passage (especially in the NIV) but the NLT is a bit clearer for me. “I don’t really understand myself, for I want to do what is right, but I don’t do it. Instead I do what I hate...I want to do what is right, but I can’t. I want to do what is good, but I don’t. I don’t want to do what is wrong, but I do it anyway. But if I do what I don’t want to do, I am not really the one doing wrong; it is sin living in me that does it” (Romans 7:15,18b-20 NLT). Paul realizes that in this world, we are so interwoven with sin that it is impossible to extract ourselves. We are in dire straights! We cry with Paul. “What a miserable person I am! Who will free me from this life that is dominated by sin and death?” (Romans 7:24 NLT). In the end it is all about Jesus. He is the only one that can free us from this problem. His death and resurrection make it possible for us to leave the sin of this world behind and live for Him in all we do. We now live our lives by the Spirit of God and we have been adopted into his family. And we can call him Daddy (Abba, Father). This relationship cannot be broken. It holds firm even when sin attacks. Therefore do not worry about your status in the world. The important thing is that we are part of the family of God. Paul says that being a member of this family is easy, “If you confess with your mouth that Jesus is Lord, and believe with your heart that God raised him from the dead, you will be saved" (Romans 10:9 NLT). Good news indeed!!! The commentary on the time of the kings continues in 2 Chronicles. We will hear about the kings and what they did. Joash will spend some time repairing the temple but in the end he is not a very good king. Some more attention will be given to Hezekiah. He was a good king and helps the people get back on track in their relationship with God. I will admit that this weeks readings were not too interesting. Mostly a bunch of lists and numbers. A few things did jump out at me. Fist of all was the repeated mention of the Davidic Covenant that YAHWEH had made with the family of David. This was to last forever but it came to an earthly end. We all know the story that Jesus is the fulfillment of that covenant. I also thought that it was cool to read about the six fingered man. It is not too often you hear about them. One last thing that jumped out was the fact that David was the one who made the plans for the temple and gave them to his son Solomon. I am not sure if this is idealized history but it is in the Bible and I believe it. WOW!! Where to begin? There are many, many books written about Romans and I do not intend to add to the list by using this blog. But I would be remiss if I did not touch on the big theological themes in the book. First of all it is important to remember that Romans reads like a legal court document. Paul is serving as the lawyer who representing faith in Jesus and he is defending his beliefs to a particular group of people at a particular time in history. 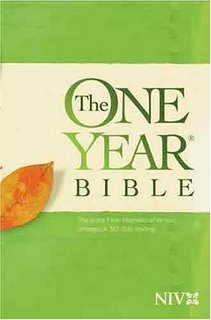 I do not believe, as others do, that this book contains all that is needed to be a Christian. (i.e. there is no mention of holy communion). But I do believe that this book contains some of the most important insights into the Faith. First of all, Paul sets up his case by setting out the argument that everyone is a sinner. There is no one who does right. We are all scumb, even those who think they are doing what is right (those who follow Jewish Law). God is also a God who shows no favoritism. He hates all sin no matter who does it. Paul brings up the character of Abraham because he is one of the biggies to the Jews. He is like a superhero to them. If anyone deserved to be saved it was Abraham, right? But what does Paul say makes Abraham a righteous man? Was it is accomplishments, or his attitude, or the fact that he was circumcised? NO! In fact Abraham is declared righteous in Genesis 15 and he is then circumcised in Genesis 17. Abraham was justified by faith, apart from works of the law. We too are justified the same way. We do not magically become Christians by being baptized. We become Christians by faith!! Don't get me wrong here, baptism is important and is powerful, but it is not some pill that is taken or hoop to jump through in order to get "in". That was Paul's point. There is nothing that we do! When we try to earn our own way, or believe that we have some part in this process we get it all mucked up and we forget that this is an action of God and not us. Because we are in this great dilemma, God sent Jesus to us to be a sacrifice for us so we could be saved. It is all passive (by the way almost all of the Greek verbs that describe what we do or become of us are in the passive case). Paul says it way better than I, "Because one person disobeyed God, many became sinners. But because one other person obeyed God, many will be made righteous" (Romans 5:19 NLT). I will give myself one break this week and let you work on what is coming up next week in the readings. Remember I will be posting next weeks study on Thursday since I will be traveling next Wednesday. See you all soon. For the next few weeks I will be posting the weekly studies on Thursday. It works much better in my schedule since I will be on vacation and Wednesdays will be travel days. Please check back on Thursday for a new study. See you then!!! 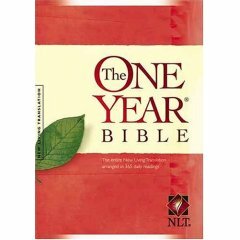 As you have seen, the book of 1 Chronicles starts out with just a bunch of lists and numbers. It is not easy reading but it is setting the stage for the story to come. I just finished reading a book called “A Theology as Big as the City” by Ray Bakke. In this book he gives some insight to 1 and 2 Chronicles, “I believe the books called Chronicles emerged from documents compiled by folks combing through the ruins of destroyed cities after the captive and exile in Babylon. The events depicted in Chronicles are from the same period as Samuel and Kings, but they represent a theological perspective not originating in the palace. In Chronicles, Israel is viewed as a theocracy. David and Solomon are idealized, and the message is: Here’s how the Lord meets all needs, both material and spiritual”. Bakke gives me some perspective when reading this book. A few insights from the readings, first the readings are a bit random at first and hard to understand but don’t let that bug you. Don’t worry if you don’t know all the names and even if you skip through some of it. Second, as you read, try to remember the stories as they were written in Samuel or Kings. How are they different? Chronicles does not give all the details but is like the “Readers Digest” version of the story. We finished up the book of Acts this week with Paul in Rome having survived a shipwreck on the island of Malta. Paul was sent to Rome to have a trial by Caesar even though Felix, Festus and Agrippa all could find no reason to keep him. Felix did hope that Paul would bribe him but Paul didn’t and that is one of the reasons he probably stayed in Caesarea so long. During the hearings, Paul takes the opportunity to share is own testimony and to witness about Jesus Christ. Paul shares his conversion experience again (the third time in Acts) and gives glory to God in all he does. Paul summarizes his doctrine by saying, “I teach nothing except what the prophets and Moses said would happen—that the Messiah would suffer and be the first to rise from the dead, and in this way announce God’s light to Jews and Gentiles alike” (Acts 26:22b-23 NLT). We will see this doctrine again and again as we read through Paul’s letters. A few interesting things at the end of the book, first off, Paul gets bit by a snake and lives! That is pretty cool. The people first thought it was “karma” that a prisoner would get bit by a snake, but when he did not die they all though he was a god. I would like to have know how Paul responded to this, but Luke moves on in the story. We learn that Paul is under house arrest in Rome but many people come to hear him talk and he shares the message of Jesus with them. One thing of note here is that Paul had already sent his letter to the Romans before he even arrived, so there were already believers in the city. An apostle did not start the church in Rome; Jews who were converted in Jerusalem at Pentecost most likely started it. The end of the book is a bit strange. Why do we not know the outcome of the trial with Caesar? How long did Paul stay in Rome? Where did he go after? How did he die? These are all good questions but they don’t all have good answers from scripture. We can piece together the end of Paul’s life from other sources but it is a bit blurry. Some theologians believe that Luke intended to write a third volume to the story. If he did, it has been lost to history. We will have to ask Luke when we get to heaven why the end is so abrupt. We will finish up 1 Chronicles this week and move on to 2 Chronicles. This week we will spend time with David and what went on during his reign. We will have a few more lists to work through but don’t let it bog you down. Have a great week and I will see you all soon. We finished up the book of 2nd Kings this week with a flurry of Kings, most of them bad. We read quite often, “but he did what was evil in the LORD’s sight...”. Over and over the kings continued in the sins of the previous rulers. Remember God’s word to Joshua way back. Make sure you drive out all the people living in the land and do not worship their Gods. Well the kings did not do a very good job and now the consequences are going to set in. First it was Israel’s turn to be exiled. The author of 2nd Kings does a great job telling us why, “This disaster came upon the people of Israel because they worshiped other gods. They sinned against the LORD...the followed the practices of the pagan nations...they build pagan shrines...they set up sacred pillars...they offered sacrifices on all the hilltops...they worshiped idols despite the LORD’s specific warnings” (2 Kings 17:7-12 NLT). What were these warnings? Sometimes it is helpful to look at the whole picture. The Old Testament is not in complete chronological order. So far it has worked out, but we will soon see, in the books of 1st and 2nd Chronicles, that this is not always the case. One thing that is difficult is the warnings most often came from the prophets. God sent his holy men to warn the kings and the people what would happen if they did not turn back to YAHWEH. Isaiah and Jeremiah are two prophets who gave many warnings. We must remember this context when we get into these two long books a bit later in the year. There are some Bibles out there called “Chronological Bibles” that insert the warnings of the prophets into the narrative story. This can be very helpful to remember the context of the prophets. We do get a couple of good kings, Hezekiah was pretty good Josiah was even better, but even these two kings could not stop the exile from happening. 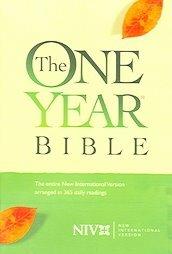 One neat thing from 2 Kings 19, when Isaiah speaks he mentions “The Holy One of Israel”. Remember this term. We will see it over and over again in the prophetic books. Almost always it is used in reference to the promised Messiah. Much more on this when we are in the book of Isaiah later this year. One really great thing that happened during the reign of Josiah was that the book of the Law was found. How did it get lost? This does answer some of the questions about how king after king did not follow the Law of YAHWEH. Josiah had the book of the Law read to the people and they began to come back to the LORD. I am of the opinion that God used Josiah to get the people ready for the exile. God had promised that a remnant would return (through the prophet Isaiah). This remnant will build the city up again. Israel went to exile never to be heard from again but Judah had the promise of the Davidic covenant and we will soon see how God will be faithful even to his unfaithful people. The city of Jerusalem lies in ruins, the people have been exiled and all hope seems to be lost. We continued the story of Paul at the end of his third missionary journey. It seems that everywhere Paul went, there was some sort of trouble. There was trouble in Ephesus, and then big time trouble in Jerusalem. Even in all of this trouble and turmoil, Paul remains calm and cool. He stays focused on his mission, to spread the message of Jesus Christ. Paul knew that he was to go to Rome. It will not happen the way he wants it to but I am getting ahead of the story. You can tell a lot about Paul by from this quote, “But my life is worth nothing to me unless I use it for finishing the work assigned me by the Lord Jesus—the work of telling others the Good News about the wonderful grace of God” (Acts 20:24 NLT). May we all have the same conviction as Paul!! 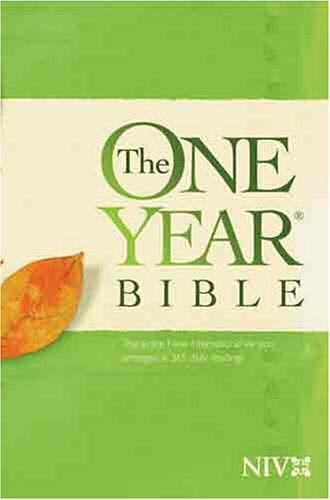 We read just one chapter later, “I am ready not only to be jailed at Jerusalem, but even to die for the sake of the Lord Jesus” (Acts 21:13 NLT). I am truly humbled when I read of the conviction of Paul. Paul gets into some hot water with the Jewish leaders in Jerusalem and they try to kill him. Paul gives a great sermon and testimony on the steps of the governor’s palace. I am sure that there were some who heard his message and believed but many still wanted his head. The Roman commander ordered Paul to be whipped but once it was learned that he was a Roman citizen, that was stopped quickly. Paul almost incites a riot between the Pharisees and the Sadducees when he was on trial and the Romans took no chances in losing control and secretly sent Paul off to Caesarea. Paul will never again live his life as a free man. Not only was he in physical chains, he also believed he was in chains to the Gospel and was a slave to Christ. We will see these patters emerge when we read some of Paul’s letters. We have read through the book once this year and we will start our second go at it. Try to see if you notice new things the second time around. We will finish up the book of Acts this week and we will see Paul on trial again, once before Felix, the before Festus, once before Agrippa, then he is off for a trial before Caesar in Rome. On his way to Rome there are some problems. Paul will live under house arrest in Rome but his ministry will go on. Notice the end odd end to the book. I will spend some time talking about this odd ending next week.